You may remember Part I of the Georgia collection we’re helping to market. I had the chance to make a second and third visit to further document the collection and I’m happy to share those finds here as an exclusive opportunity for our readers. 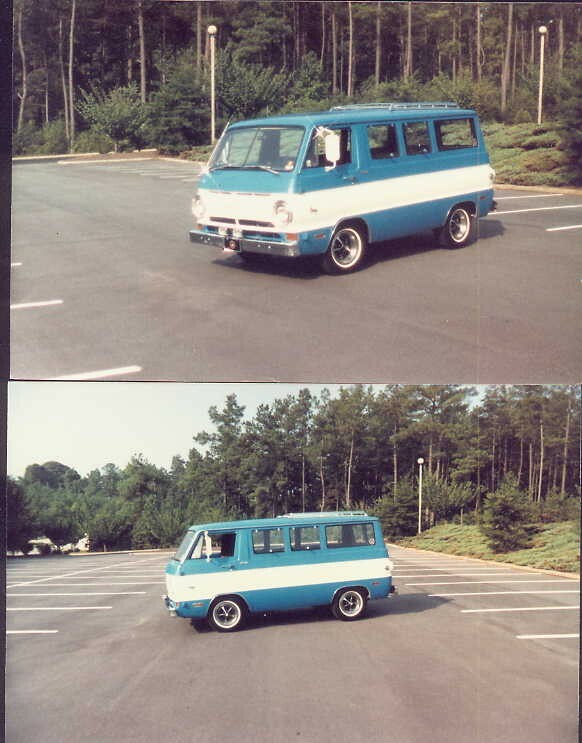 This Ford Econoline “Supervan” has a period camper conversion and a running 302 mill at the ready. 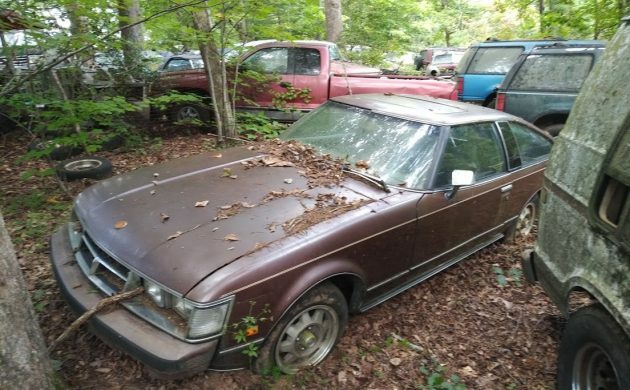 All of these project-grade vehicles are available for serious inquiries only. In the interest of a disclaimer, I will be handling initial inquiries for the owner and connecting parties with a specific interest in order to cut down on the proverbial “tire kickers” that inevitably come out of the woodwork. Read on for more information. I made an attempt to document vehicles not seen in the first go-round photos, like this Scout pickup. It does have rust but the value of these trucks is seemingly constantly ticking upwards. 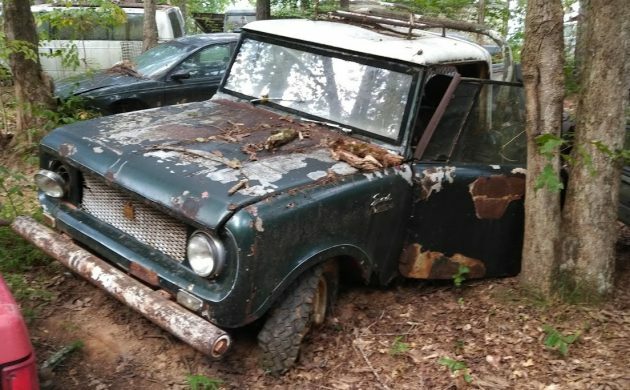 In addition to the Scout, the seller has several Jeepsters available. 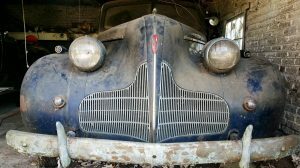 We did sell the 1949 Willys, but there’s another “parts truck” in the collection if anyone is looking. I thought this was a Meyers-Manx (like so many others who have been fooled) but it’s actually a fairly rare copy known as a “Howellcraft.” This company was based in nearby Atlanta, so it’s not surprising to see one turn up here. 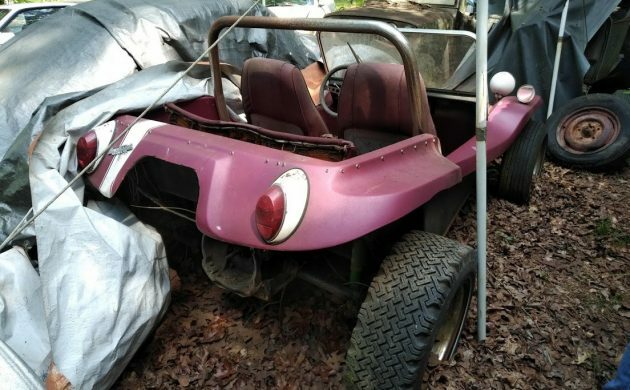 The motor is stored on a pallet next to the dune buggy, and the interior and body remain in very good condition with just one small crack in the front-right fiberglass. Watch for a dedicated Exclusive post on this one soon. This early Toyota Celica has a fantastic body and surprised me with how straight it was. The interior is musty and has the tell-tale signs of water intrusion, but the condition of the body more than makes up for any cosmetic restoration the cabin will need. The seller also has a later Celica GTS as well as a rare Celica GTS notchback. 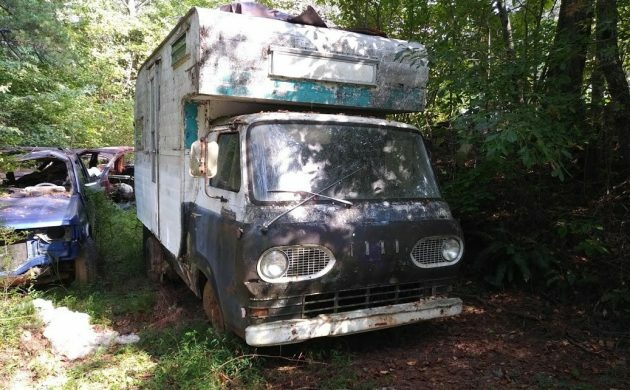 Elsewhere on the property is a nice collection of Ford Econoline vans, similar to the camper conversion above. 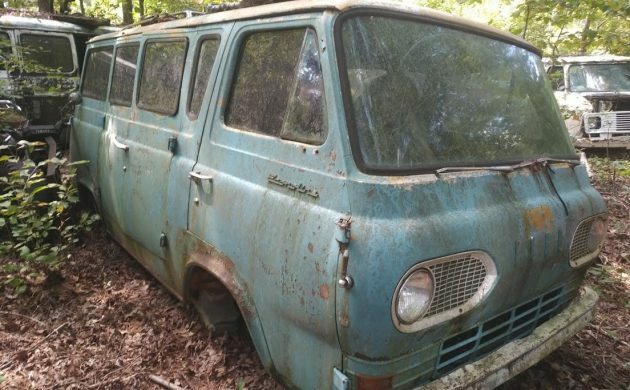 This Econoline will need a front axle, but the seller will install one prior to delivery for any interested buyers. 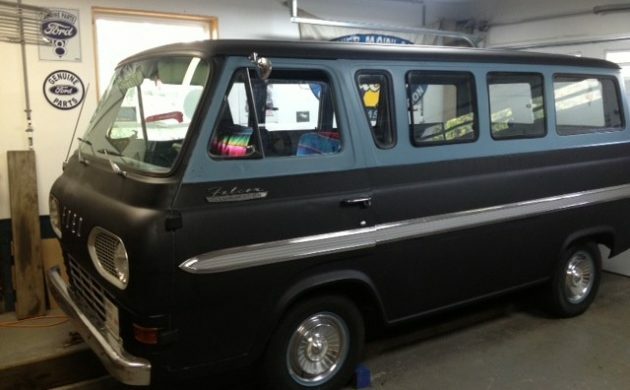 In addition to the Econolines (there are at least two others), Mopar fans will find a few Dodge A100 vans to choose from, including a wicked period-cool RCA TV repair van. 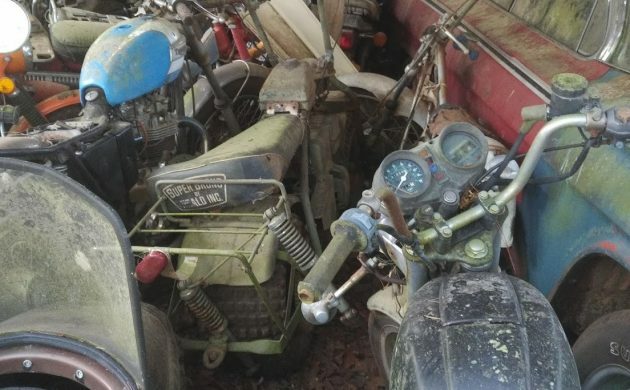 The motorcycle collection is largely a parts stash at this juncture, with few complete examples left. However, I couldn’t pass up the chance to photograph this Super Bronco bike, one of the more interesting combinations of scooter-proportions with off-road intentions. 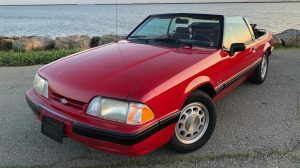 Please check out the gallery below for many other vehicles up for grabs, as well as some additional detail shots of projects photographed in the first go-round. Additional photo requests/questions about specific vehicles are welcome and I will do my best to get back to you as soon as I can. Finally, if you know of the location based on the photos seen here, please do not post the address in the comments (it will be removed). Thanks. actually, the “celica” picture posted is the first supra. six cylinder and longer front than the celica. I can tell from the grill! got to love the subaru brat seats the suzi lj ! Ironically, Blue Ridge, GA, where this collection is near, is one of the most popular retirement destinations in the south for retirees from FL and AL. So not as much banjo-land as you’d expect. I could be wrong, but I believe that the car identified as a Bradley GT is actually a Kelmark GT. You’re absolutely correct. I’ve fixed the file names. Thanks! Other send the Wagoneer and a couple of other Jeeps and the Falcon Ranchero there ain’t much worth saving. LOL. Thanks for the comment. I’ve found plenty here, as have others. Photo labelled GMC truck is actually a Dodge approx. 1965 to 1969. Great find!!! 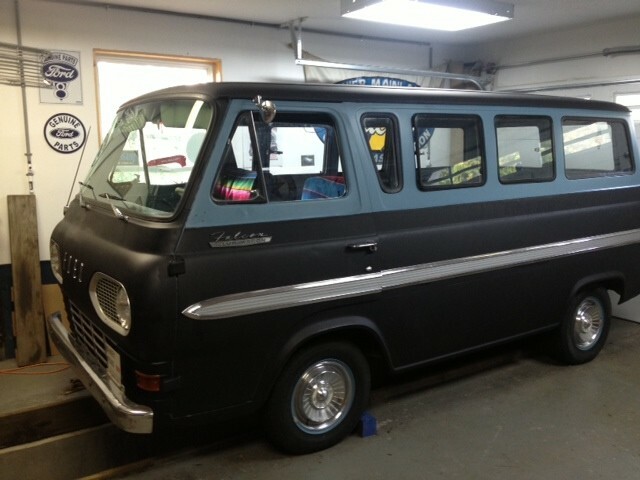 This is what my currently “needs restoring” 69 A-100 looked like in its’ glory days! I may have to see if there is anything I could use…but wait! I ALREADY have a collection of A-100 parts!! LOL!! 🙂 I’d still LOVE to walk through that “yard of junk” as some have referred to. Sadly, the type of collections like this are vanishing along with the opportunity to seek out rare and unobtanium items! to the camper. 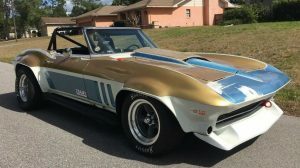 What a great weekend vehicle that would be! Sad end for that A-100 Great trucks, I learned stick on a 69. Just a yard full of JUNK. Mike, you’re entitled to your opinion but there’s plenty of good projects here for people that are open-minded…..
That’s why I have a machine shed to hold my junk. What AM I going to do with my 500cc Suzy twin that my open mind bought 15 years ago? But, that’s the fun part. 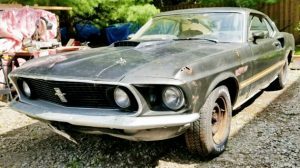 It would be great to roam a ‘junk yard’ again. 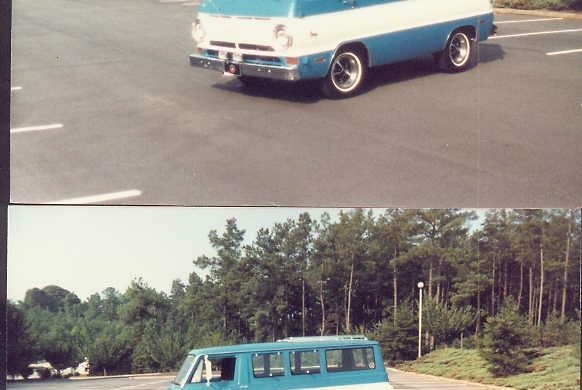 Care to guess what an Econoline straight axle costs for a nostalgia gasser around here? Unobtanium. Love a yard full of JUNK ! Appreciate the write up and sharing the story ! This is the type of place that my son and I love to spend time. It’s history and fun to put a story behind what you see. “Bruce Berry was a working man, he used to load that Econoline Van” …Mr. Streuly’s mom wouldn’t let him have any fun growing up. This is a fabulous collection…I’d love to find an opportunity like this in my neck of the woods – I’m sure there would be a number of diamonds in the rough here, and I suspect some oddball finds at that. agreed * some projects to be had here / or at least some hard to find ‘parts’ . Love those early Ford vans ! Agreed. Cars like the Kelmark have tons of parts that are no longer made, the early MGB has lots of specific-year parts, and the Suzuki – even in it’s rusty condition – had good spares to lend. The Prairie Schooner is very interesting! Is there anything left in the front section and kitchen area? Could be. Very nice paint on this example. Is the Prarie Schooner still available? Not a Big Horn, it’s a lighter duty, smaller “C” series, which had the unusual swing-out fenders for engine access. Big Horns had a one-piece nose, with lintegral fenders.